Towse: The Towse Three c1927? 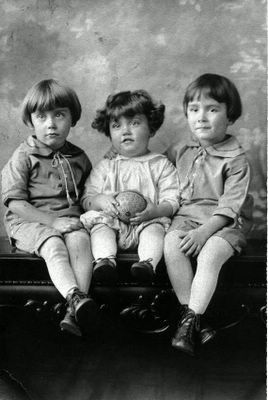 Here's an early photograph of the three oldest (of eventually six) sons of Evangeline Reba Lynch Towse. My dad's fraternal (duh!) twin, their little brother, my dad. Ou sont les Towses d'USA? And keep the noise down too!